Is it preferable to have ‘www’ or no ‘www’ in your web address? Should you use ‘www’ in your domain name for your communication? Are there SEO-related or any other technical reasons why one solution is better than another? Here are a few tips that will help you make your choice. The time has long since passed when you had to type very long web addresses like https://www.mycompanyname.com into your browser. Today, you can simply leave out ‘https://’, and even ‘www’. Technology has evolved in such a way that in both cases, your browser will be redirected to the correct web address – whether you are typing www.mycompanyname.com, http://mycompanyname.com or even mycompanyname.com. So, in your communication (an advertising brochure, a video or radio advertisement, a billboard, etc. ), you could actually ignore that ‘www’. Because shorter names are always simpler, and therefore easier to remember. Nevertheless, there are still some good reasons to keep the ‘www’ prefix. When in a text you see something preceded by ‘www’, you immediately know it is a web address – just like you also know that an at sign (@) indicates you are dealing with an e-mail address. If you have a domain name with a traditional domain extension such as .com, .net or .be, the name is also recognisable without ‘www’ – combell.com or www.combell.com are equally clear. Things are different with new domain extensions. The general public still has to get used to the .bike or .pizza extensions, and will not immediately identify italian.pizza as a web address. In that case, the use of ‘www’ is strongly recommended. Your communication is one thing, but what about your SEO? Is the use of ‘www’ for your website better for your ranking in search engines? No, it makes absolutely no difference! After all, ‘www’ is only a subdomain of your main domain, and Google considers subdomains and subfolders as equivalent parts of the same website. Be careful though, as you have to choose! Google indeed regards www.mycompanyname.com and mycompanyname.com as different addresses. And it could therefore treat the content on those websites as duplicate content, which is something search engines penalise! You cannot publish the same information on two different URLs. Please read below to find out how to avoid this. Regardless of whether or not you use ‘www’, you should always use a 301 redirect to prevent search engines from considering the 2 versions as different URLs with duplicate content! Tech talk: with or without the ‘www’, you need to pick one! As a general rule, it makes no difference whether or not you use ‘www’ in your domain name. You can even have both, but then you have to choose an ‘official’ name. And you must always be consistent in your choice, not only in your communication, but also in your domain structure. Create a forward (or redirect 301) to the ‘www’ or the non-‘www’ version. This way, all your visitors will get to the right place, whether they type the ‘www’ prefix or not. You can do this quite easily in your control panel (follow these instructions). Make sure all your internal links point to the chosen form of your domain. With relative links (which only point to the folder and file name), this is not an issue at all, but with absolute links (which include the full domain name), you must be very careful. In Google Search Console, you should also make your choice known by clicking on Configurations/Site Settings. Select your ‘Preferred domain’ so that it can be indexed. 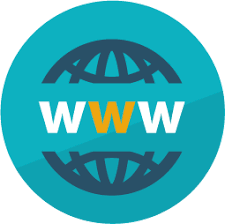 This correct domain name (with or without ‘www’) will then also be displayed in search results. In your pages, you should then use the HTML element <link rel="canonical">. This will prevent the same page from being indexed several times. For more technical information about ‘www’ and redirects, please visit the Mozilla website. This article will show you some cases where the use of ‘www’ is recommended, such as when transmitting cookies, and when you want your website to be redirected to a flexible hostname.